Mamora shortly after the arrival of General Buhari at the Nnamdi Azikwe International Airport in Abuja on Friday, 6 March 2015. Deputy Director-General of the Muhammadu Buhari Campaign Organisation during the 2015 presidential election, Senator Olurunnimbe Mamora has turned down his appointment as the Chairman of the Abuja Investment and Infrastructure Centre. Mamora who played a major role in the events that brought President Buhari to power and was listed to be the Chairman of the Board of the Nigerian Ports Authority in 2016, was later sidelined and denied the post. 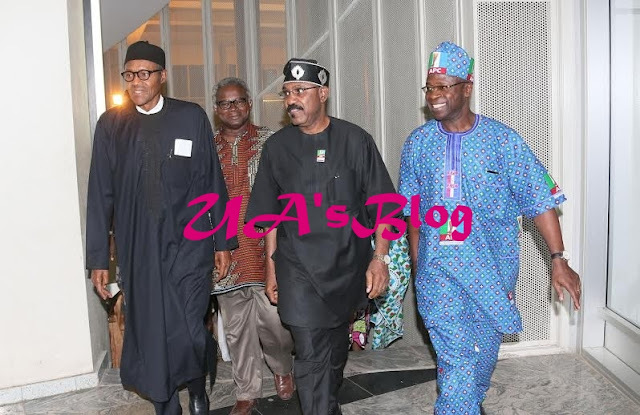 The former lawmaker, Senator Olurunnimbe Mamora, was nominated as the Chairman of the Abuja Investment and Infrastructure Centre, by the President Buhari.